The Paint Store – Local small business providing high quality Benjamin Moore products and services. 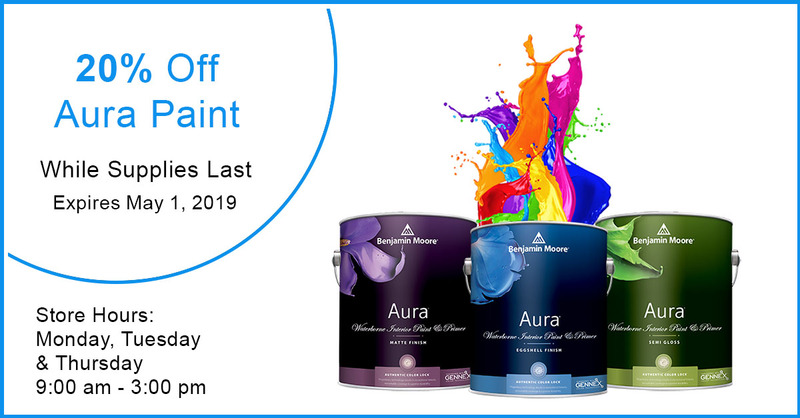 Whether you are staining the deck, reimagining an interior space or painting the whole exterior, we sell a Benjamin Moore paint or stain that fits your project. Tell us about your lifestyle and tastes and we'll find the perfect Mohawk or Shaw flooring for you. "The Paint Store is the best in town 1000+ colors to choose from, they can even match paint. I don't say their the best just because of the colors, but the paint itself is top of the line quality even the cheaper paint does things others best paint can't even do. Customer Service is always there when you happen to run into the problem with a project. Your paint problems can be solved. Good folks helping those who want a better look." "The Paint Store is my new #1 Choice for Paints & Stains! With quality paint & service to match there isn't a reason for me to go anywhere else! " "First class for sure! Fast service and kind workers!" We appreciate your interest in The Paint Store. Please stop by one of our stores or complete our contact form and tell us how we can help you.